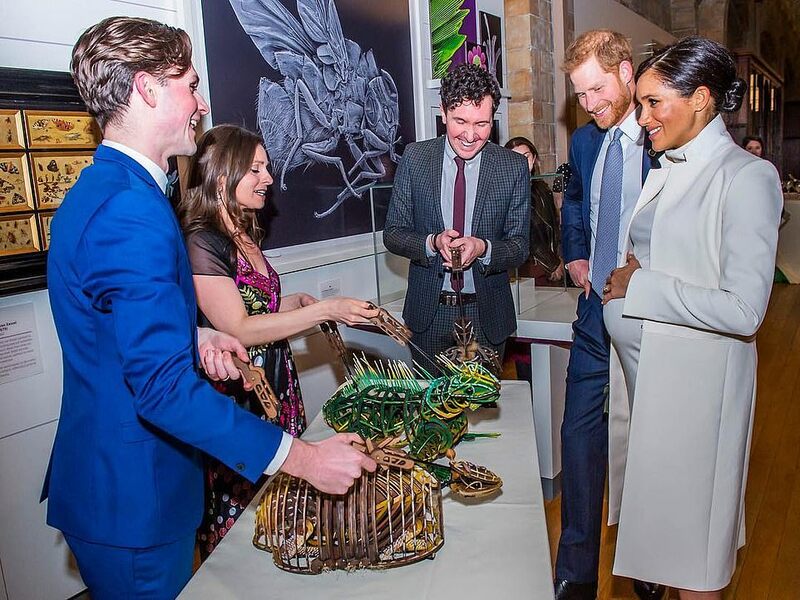 The Duchess of Sussex was the picture of elegance as she joined Prince Harry at the Natural History Museum on Tuesday night. 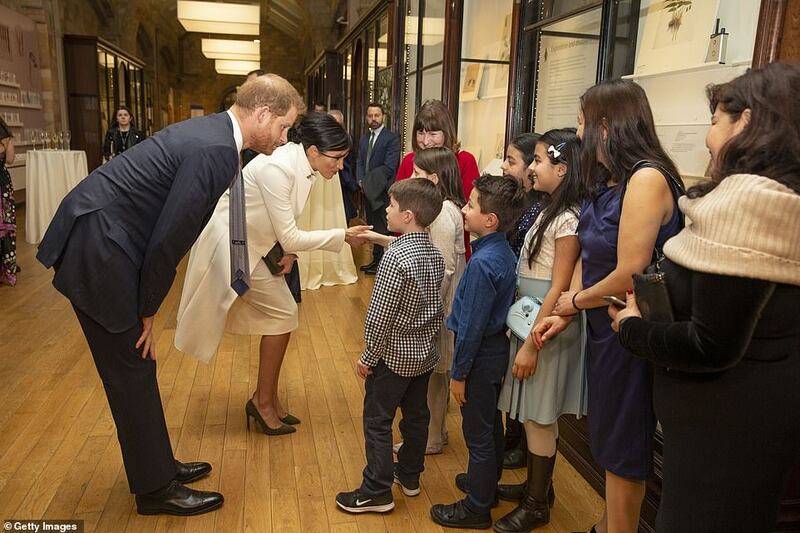 Meghan, 37, who is expecting her first child in April, plumped for a custom cream roll-neck dress by Calvin Klein and a £895 coat by royal favourite Amanda Wakeley as she joined Harry, 34, to watch a play about Charles Darwin. 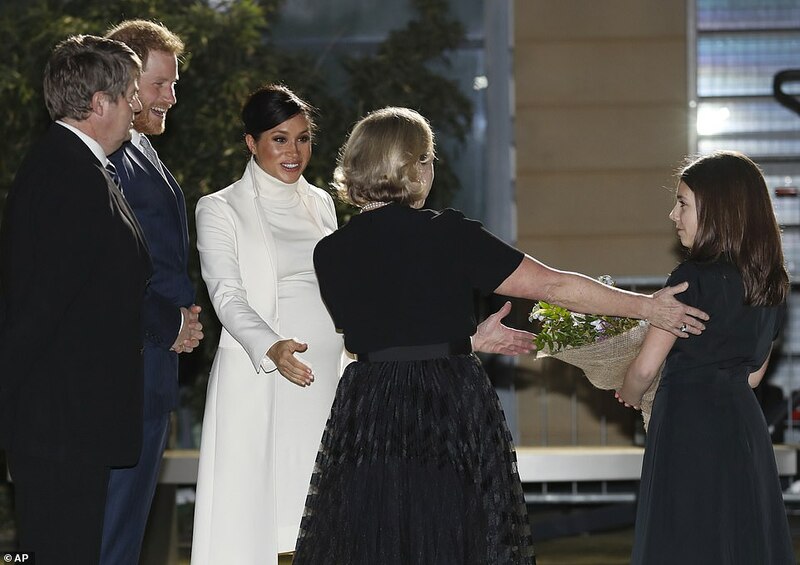 It is the first time the duchess has been seen in public since her father, Thomas Markle Sr, revealed the contents of a letter written by Meghan last summer in which she accused him of breaking her heart ‘into a million pieces’ by giving interviews to the press, fabricating stories and publicly attacking her new husband. 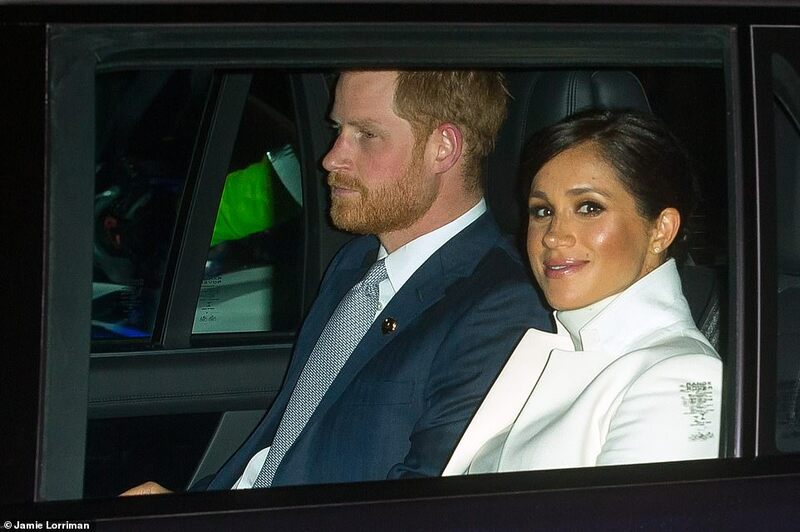 The letter was shared in response to allegations made by five members of Meghan’s inner circle in an explosive People magazine article last week. Today the saga continued when the Duchess’ close friend George Clooney spoke out in defence of the royal, saying she is being ‘pursued and vilified’. 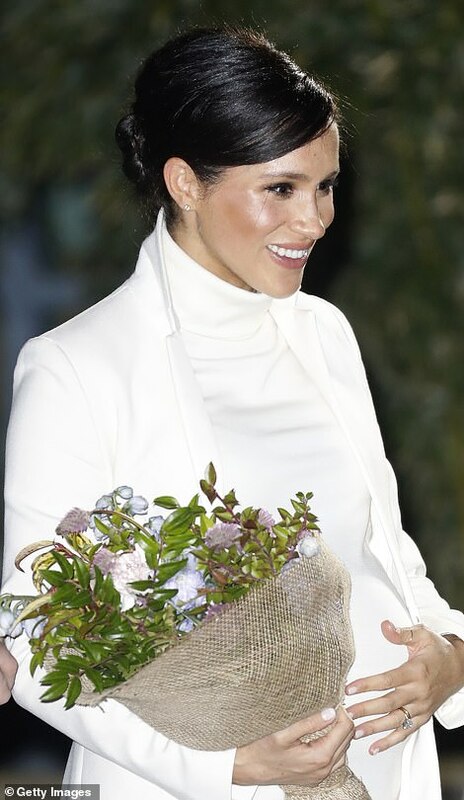 However any concerns appeared far from Meghan’s mind as she arrived at the venue, with the Duchess flashing a broad smile for the cameras outside.